The Original Duck Boot Just $19.99! Down From $69! 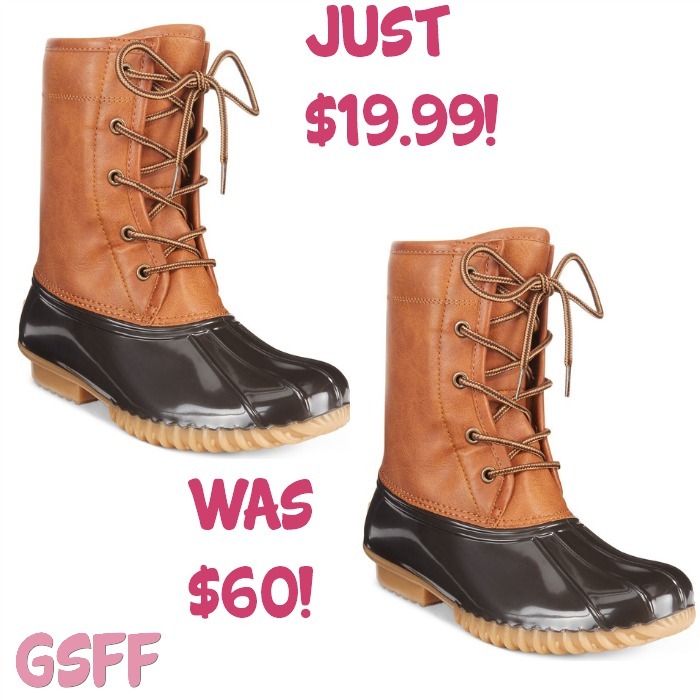 You are here: Home / Great Deals / The Original Duck Boot Just $19.99! Down From $69! The Original Duck Boot merges a classic silhouette with plush faux fur and waterproof design in the Ariel booties for cozy versatility with weather-ready appeal. Perfect for the coming winter!